This flower craft for kids comes in four designs, making a beautiful mixed bouquet. It’s made from simple craft supplies, is easy to make, and lovey to give as a gift of have as a decoration to celebrate spring. Here’s how to make each type of flower. Mothers Day 2013 is on Sunday March 10th in the UK and Sunday May 13th in the US. Are you planning some making, baking or crafting for it? I love homemade gifts at any time of the year, but I think there’s something extra special about a child-made mothers day craft. Here are ten of our favourite ideas that you might like to try this year. There’s a mix of ideas to suit all ages of children, including ideas for cards, homemade gifts and things you can bake (my favourite of all!) 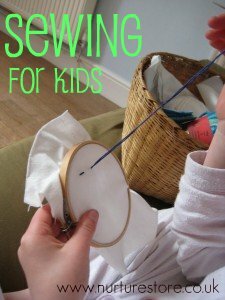 As well as producing something lovely to give to mum, each idea also has a new technique or creative idea for the children to try out – so they’re learning something new too. 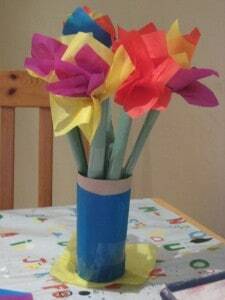 The School Gardening Club have been busy this week working on a Mothers day craft, which is 18th March for those of us in the UK. 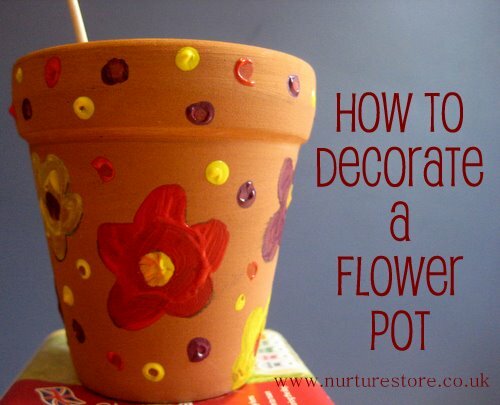 Giving flowers is always popular and if you decorate a flower pot to present it in, even better. 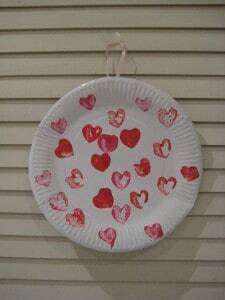 Here’s how the children made their pots. This weekend she tried it for the first time, and here are the results. Do you like them? 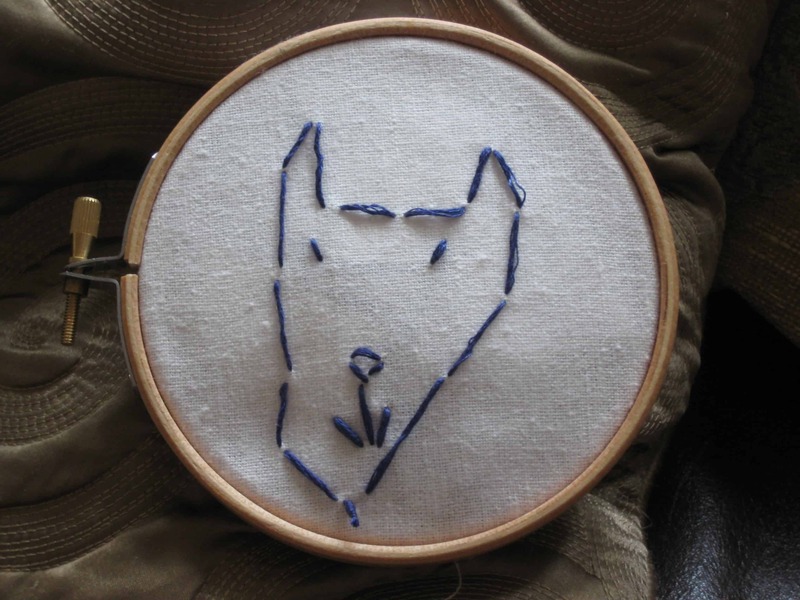 I threaded the needle for her as the thread was quite thick and also tied a knot to get her started – everything else is all her own work. 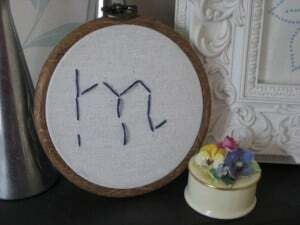 That ‘m’ is for Mummy – she’s a sweetie. And this is a portrait of our cat, drawn first with a pencil and then stiched on top. She’s so pleased with what she’s made and has plans to make lots more to give away as gifts. Want more happy handmade crafts? Our Happy Handmade resource is bursting with colourful and imaginative crafts and DIY toys that are designed to add even more colour and creativity to your home. With easy-to-follow tutorials and free patterns and printables, you can read, make, and start playing today! 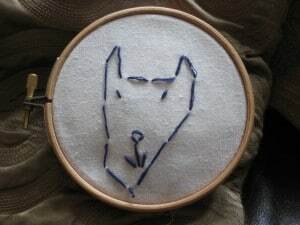 See more of Happy Handmade here. I think Spring has finally, definitely sprung. 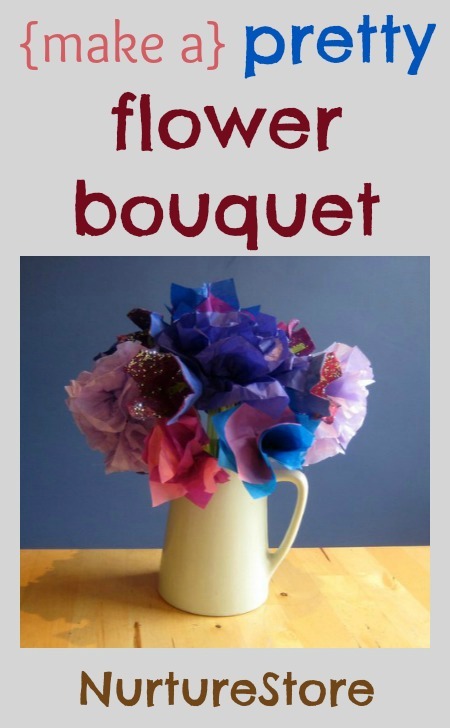 These tissue paper flowers are a pretty craft to welcome Spring into your home. Easy to make, you need just three ingredients: green sugarpaper, tissuepaper squares in your favourite petal colours and sticky tape – that’s all! 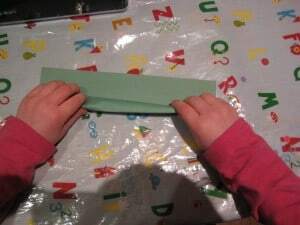 First take a sheet of green sugarpaper and roll up to make a tube. 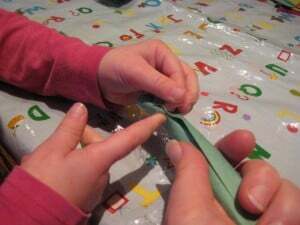 Next, use sticky tape to hold your paper tube together. This is your stem. 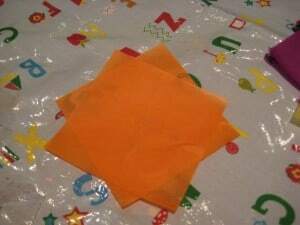 Take two tissue paper squares and lay them as shown in the picture below. 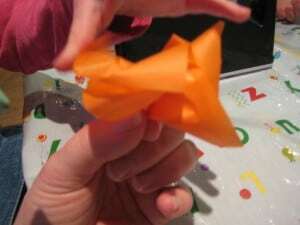 Then use your finger and thumb to scrunch the squares together in the centre and give them a little twist. This makes your petals. 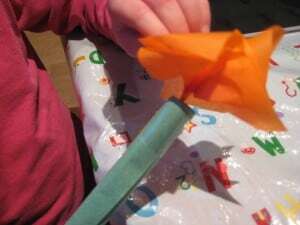 Use some stickytape to fasten your petals onto your stem. Make a few more, using your favourite colours, and you have a beautiful Spring bouquet. And if you have an empty toilet roll tube in your making box you can make a vase to display them in. 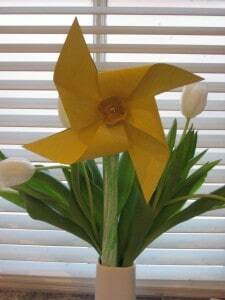 And if you love flowers you might also like to make these daffodil windmills. It’s Mothers’ Day in the UK tomorrow. 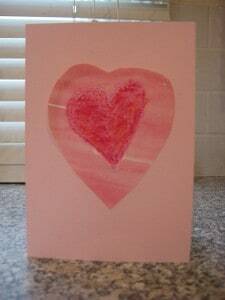 Here are four ideas from the NurtureStore archive that your children could make today – fun, simple, and filled with love. 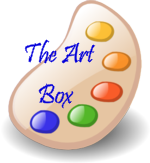 How about this waterpainting card ? Carrot printing is great for little hands. 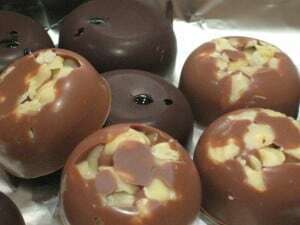 These handmade chocolates taste fantastic but are very simple to make. 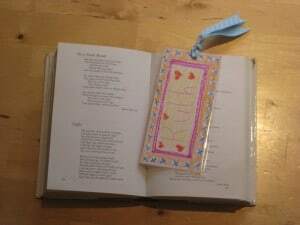 Or how about a keepsake bookmark personalised for Mum?